This fine antique Victorian sterling silver pepper has a plain ovoid shaped form. 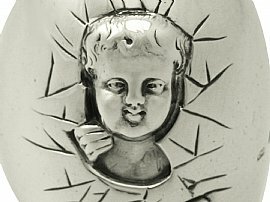 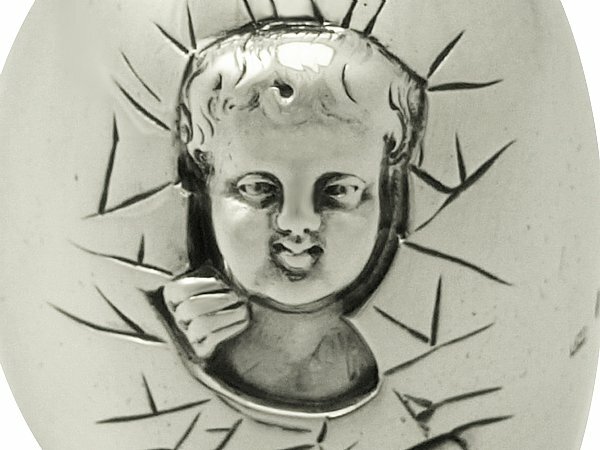 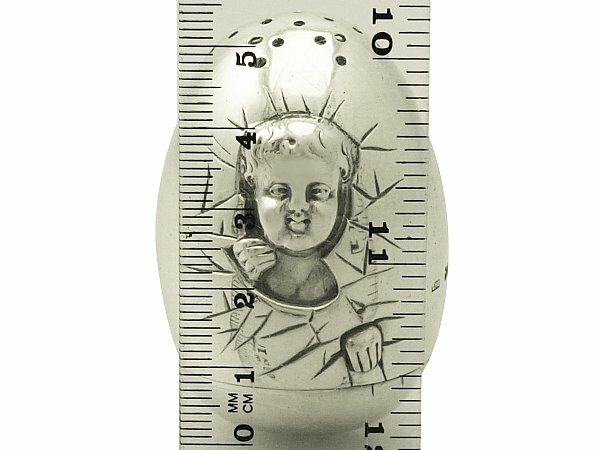 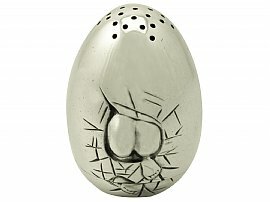 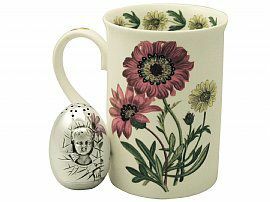 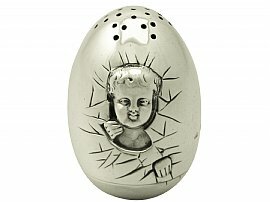 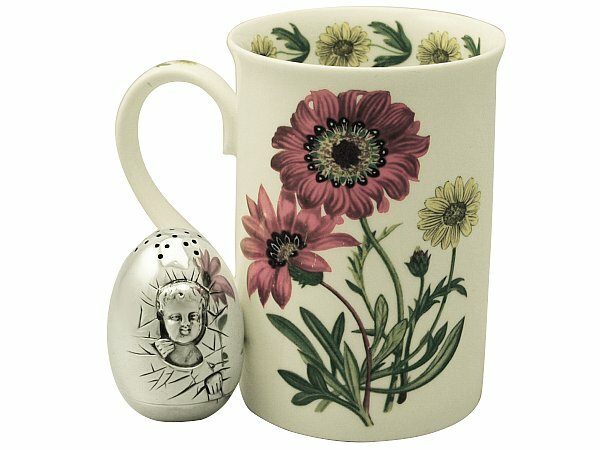 The body of the silver novelty pepper is embellished with impressive chased decoration depicting a cracked egg shell with a boy’s face and hands to the anterior surface and his feet and buttocks to the reverse. 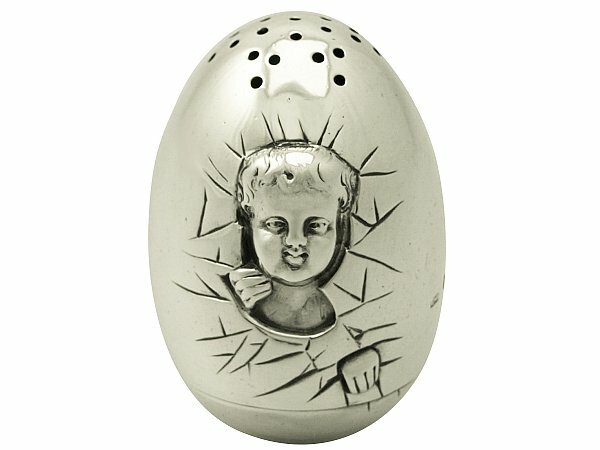 The body has pierced 'pepper' holes in a hexagram formation to the upper portion. 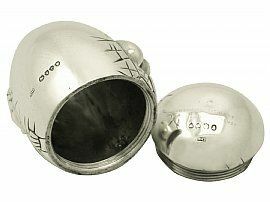 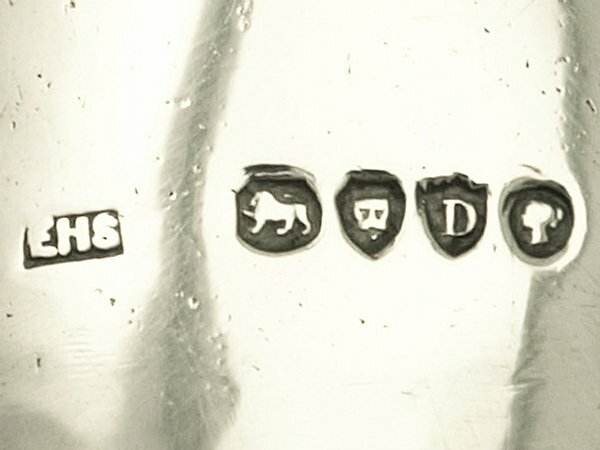 This pepper retains the original fully hallmarked screw fit weighted base; which when unscrewed provides access to permit the pot to be filled. 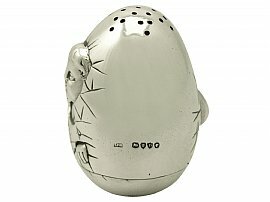 This novelty pepper is a fine example of its type. 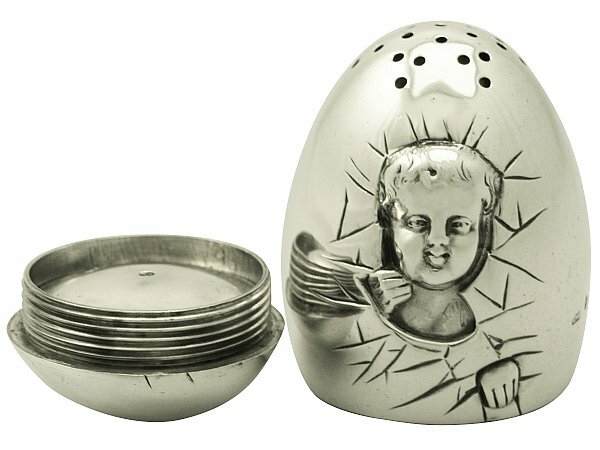 This antique pepper is an exceptional gauge of silver, fine quality and in exceptional condition. 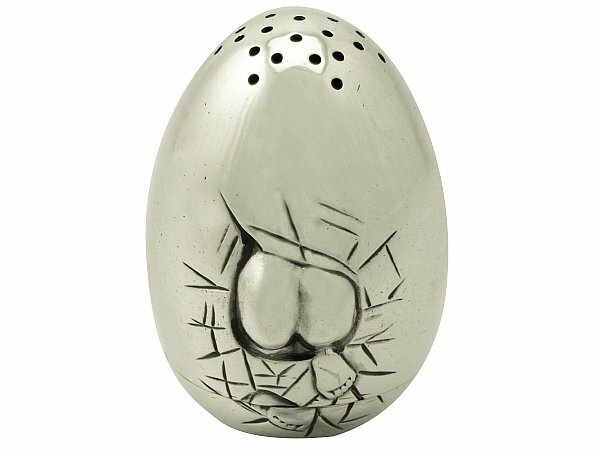 The pepper has been professionally polished and is in presentation condition. 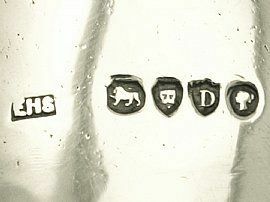 Full hallmarks struck to the surface of the body and base, and part hallmarks to the interior of the base are all very clear. 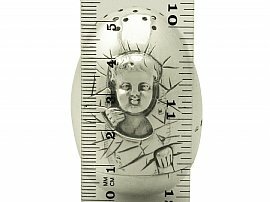 Reflections in photographs may detract from the true representation of this novelty gift.